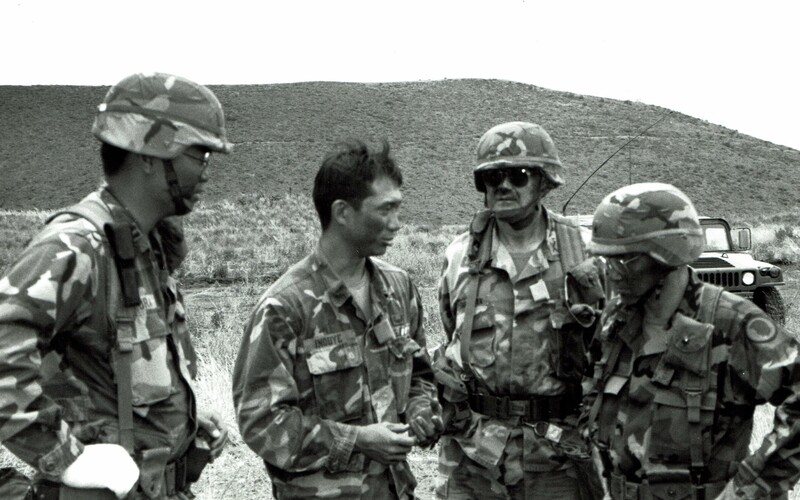 This photograph shows (L-R) then-CPT Anson Kimura, then-1LT Mark Inouye, then-LTC James Carpenter, Commander of the 1st Battalion – 487th Field Artillery (1-487FA), and then-BG Eugene Imai, Assistant Adjutant General, Army/Deputy Commander, State Area Command. 1LT Inouye is providing a mission briefing LTC Carpenter and BG Imai. Special thanks to Bob Inouye for submitting this photograph and comments to Retiree News. « Will We Ever Cure Alzheimer’s?